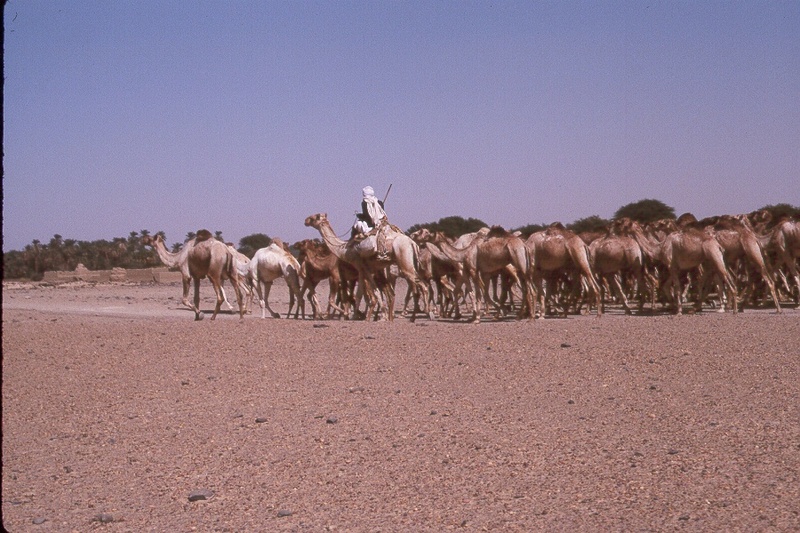 Thousands of years ago, seasonal lakes and savanna made central Sudan a rich environment supporting a large population ranging across what is now barren desert, like the Wadi el-Qa'ab. 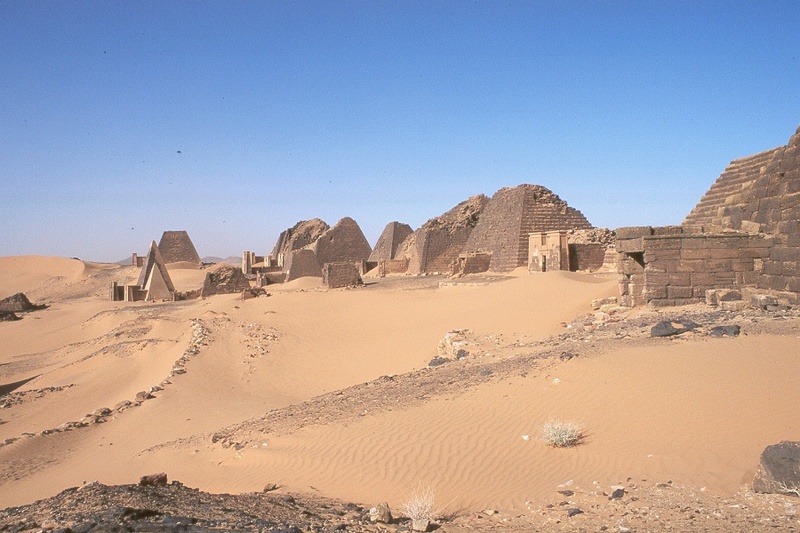 By the middle of the 5th millennium BC, Nubia's Neolithic peoples were full participants in the "agricultural revolution," living a settled lifestyle with domesticated plants and animals. Rock art of cattle and herdsmen found during our expedition suggests the presence of a cattle cult like those found in the Sudan and other parts of Africa today. 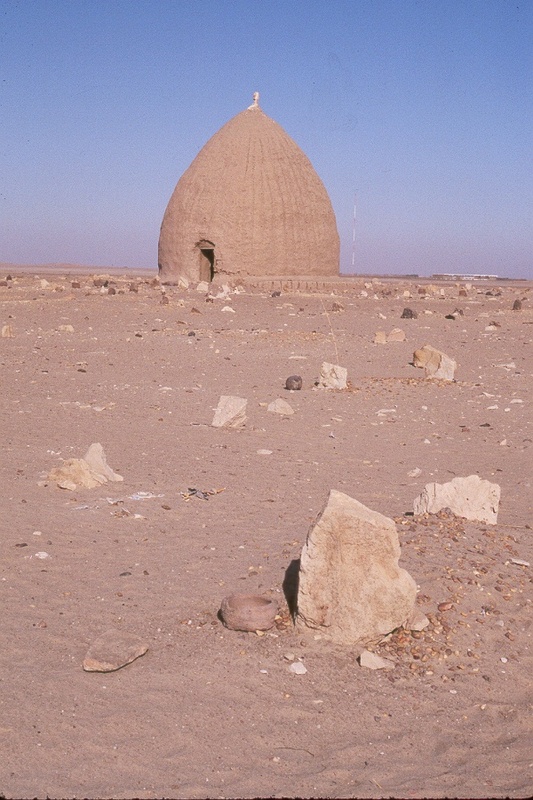 The Kerma culture evolved out of the Neolithic around 2400 BC. 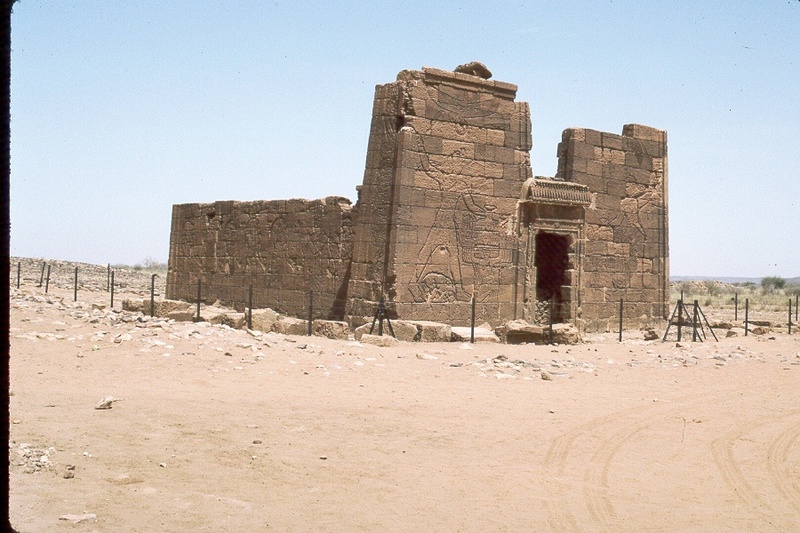 The Kushite rulers of Kerma profited from the trading such luxury goods as gold, ivory, ebony, incense, and even live animals to the Egyptian Pharaohs. 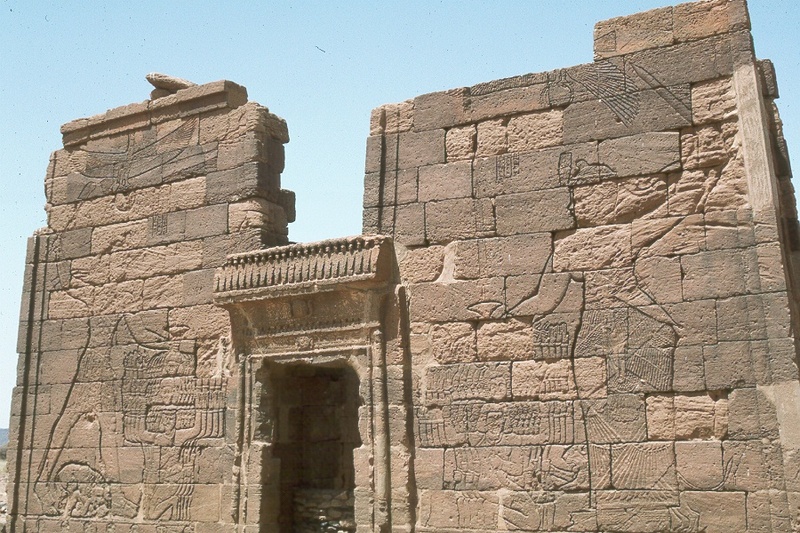 By 1650 BC, Kerma had become a densely occupied urban center overseeing a centralized state stretching from at least the 1st Cataract to the 4th, rivaling ancient Egypt. In 1500 BC, Egypt conquered all of Nubia, forging a great empire that stretched all the way from the Euphrates in Syria to the 5th Cataract of the Nile. For over 500 years, Egypt's wealth made the Pharaohs of the New Kingdom, like Tutankhamun, the most powerful rulers on the face of the earth. 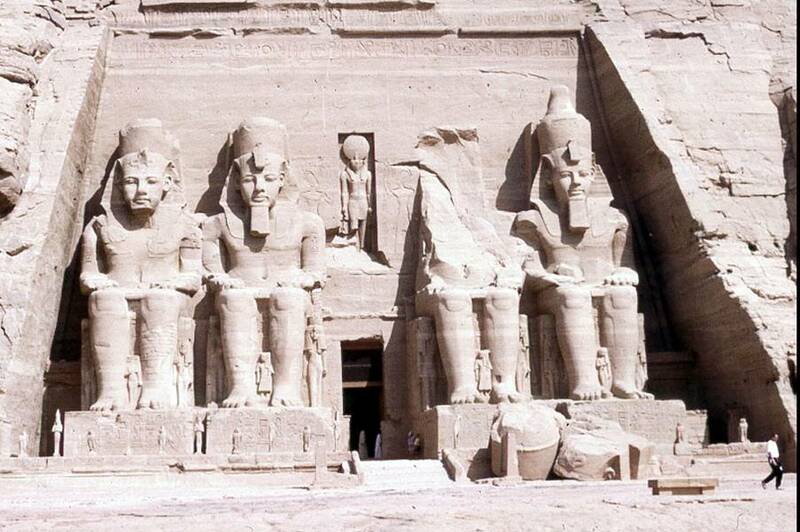 They built huge monuments throughout Egypt and Nubia, such as the famous temple of Abu Simbel. 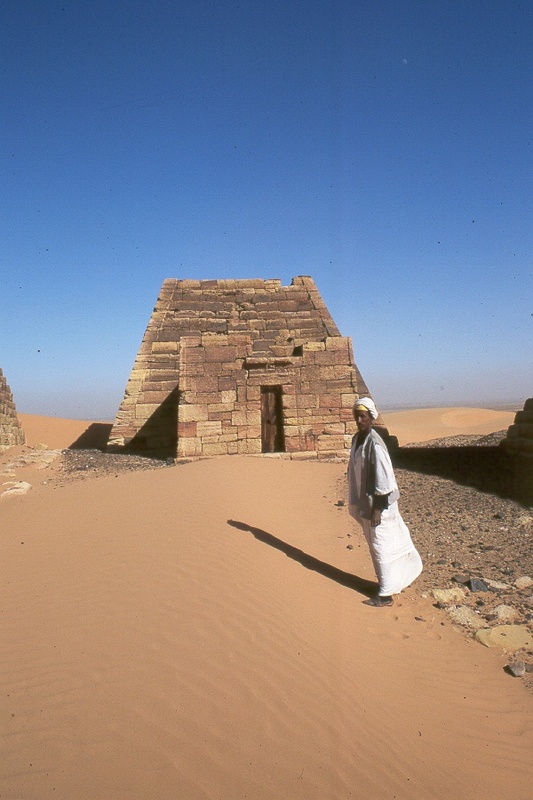 The Nubian Pharaohs of Meroë and Napata portrayed themselves as the saviors of Egyptian culture in a decadent age. 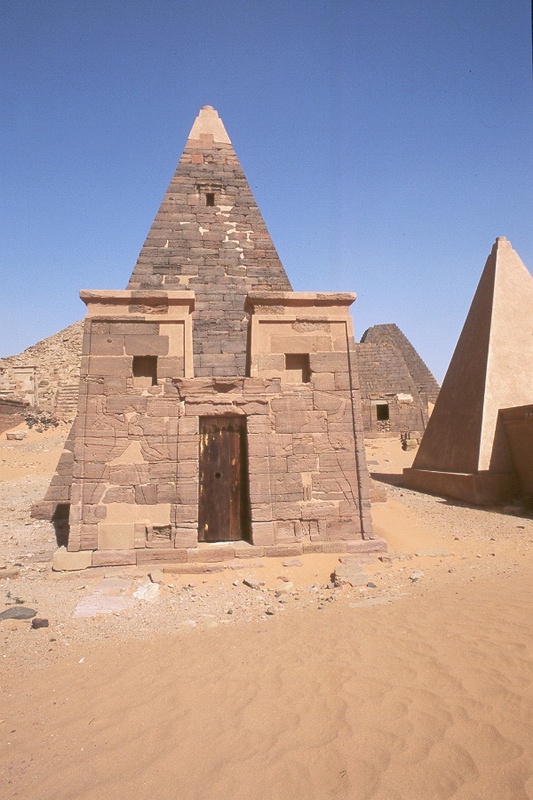 They adopted all the regalia and titles of Egyptian Pharaohs, and revived pyramid tombs, such as these at the Nubian royal cemetery at Meroë. 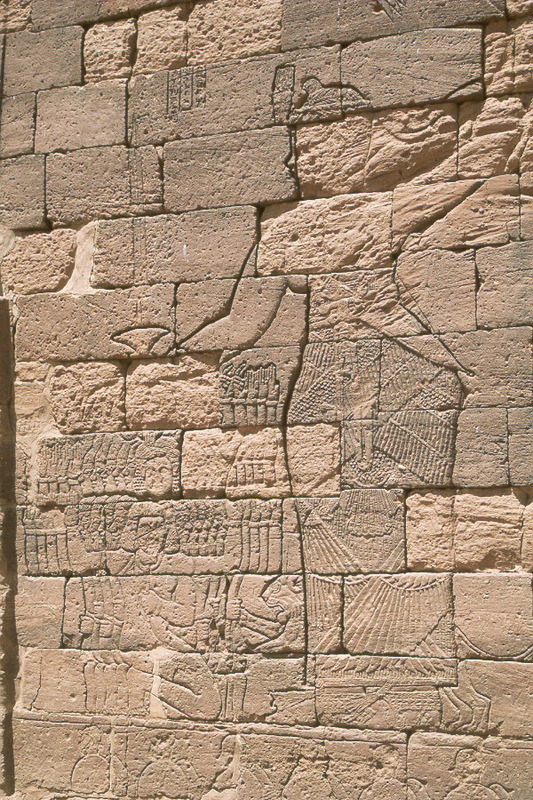 Temple at Naga dedicated to Apademak, the most important Meroitic deity. 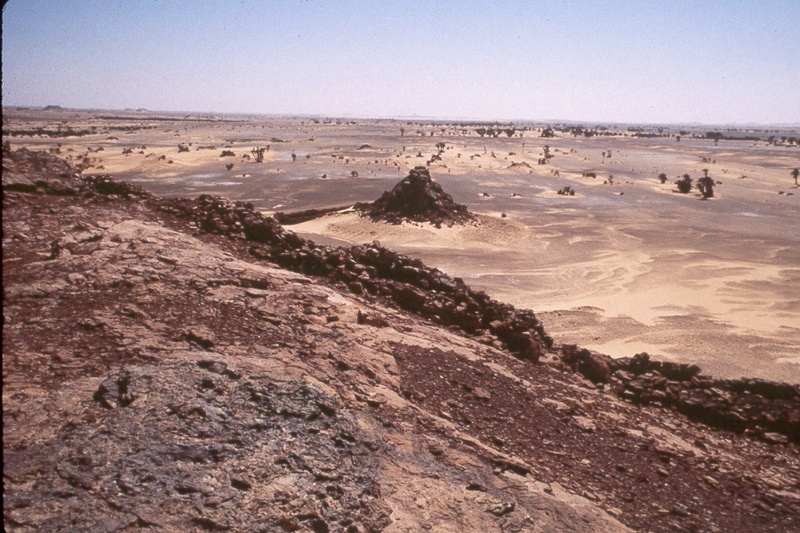 An Iron Age quarry at Akkad. 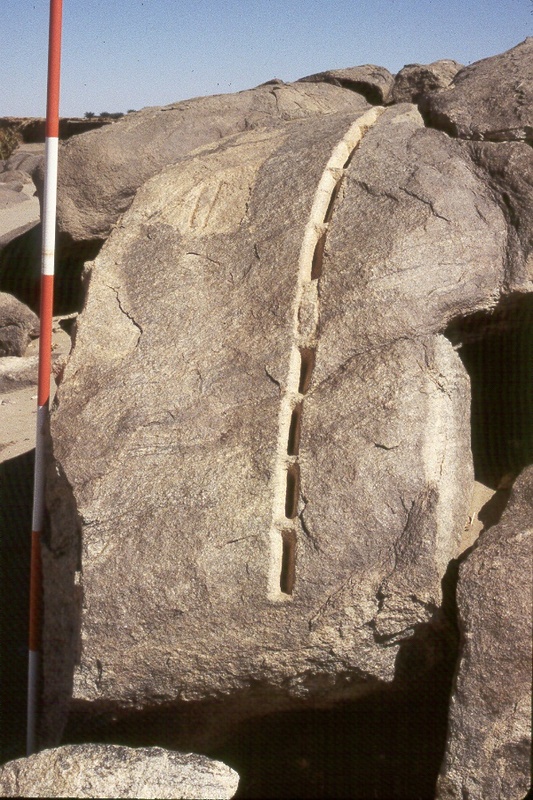 The marks visible in the image at right are cuts where iron wedges were inserted to shear the block away from the stone. 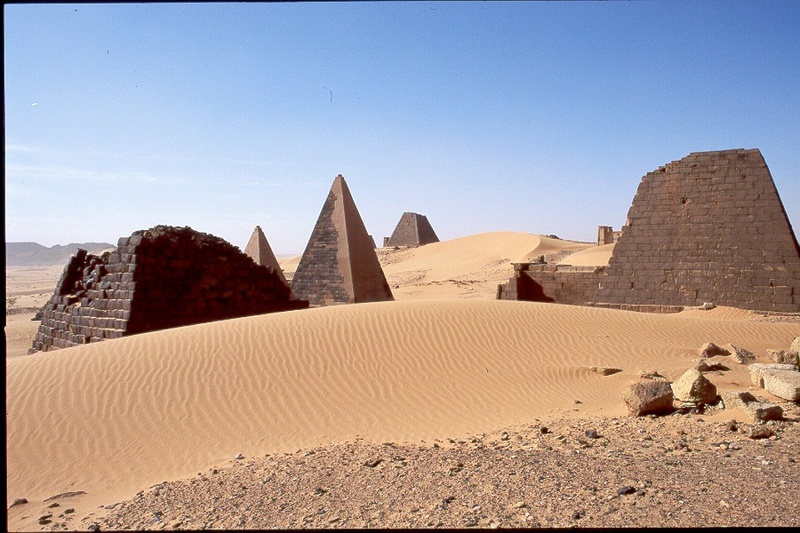 A series of powerful Christian kingdoms in Nubia resisted Arab conquest and conversion to Islam for 700 years after the conquest of Egypt. 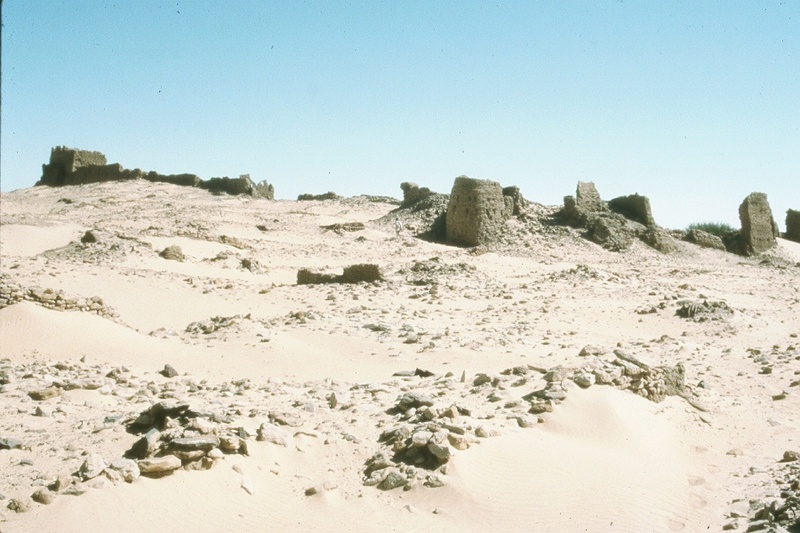 With the assistance of the Mamluk rulers of Egypt, the Kingdom of Makuria fell to the Juhayna Arabs through a combination of conquest and intermarriage in the mid 14th century. 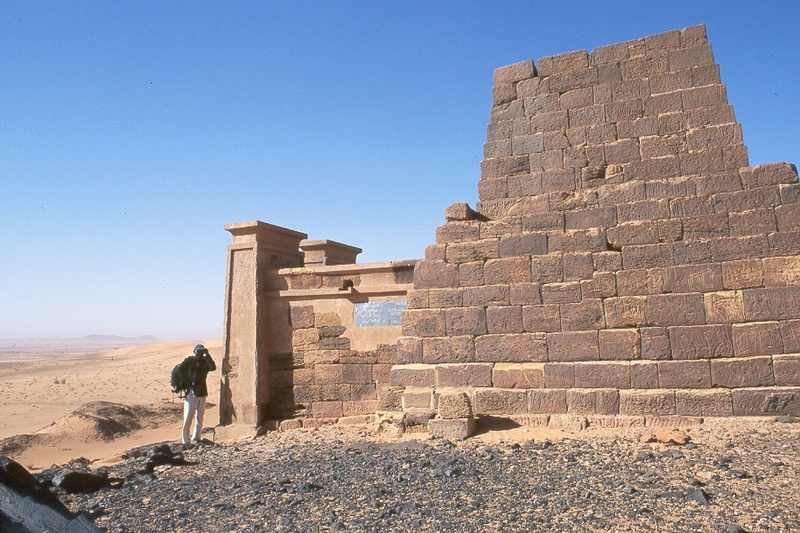 Nubia quickly adopted the Arabic language and the religion of Islam. The Dongola Reach soon came under the sway of the far-flung Funj kingdom, or al-Saltana al-Zarqa (the Black Sultanate). 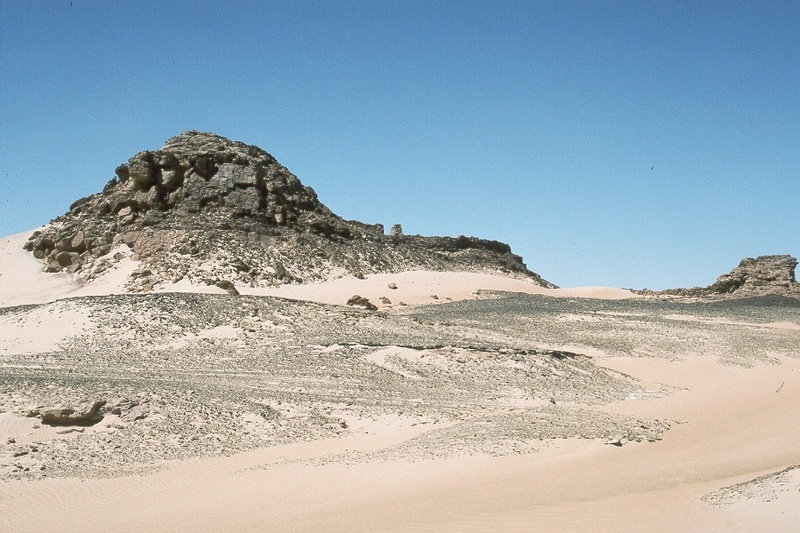 The "Forty Days' Road" described by Herodotus was known in this time as the "Darb al-Arba'in", and was a major trade route between Nubia and Egypt. Mohamed Ali Pasha, Ottoman Turkish ruler of Egypt, conquered Sudan in 1821, but the Mahdi overthrew the Egyptian colonial government in 1881. Sudan enjoyed a brief period of independence under him and his successor the Khalifa Abdallahi. British General Lord Kitchener defeated the Mahdist army led by the Khalifa in 1898 at the Battle of Omdurman, bringing Sudan under Anglo-Egyptian colonial rule until it gained independence from Egypt in 1956.